socially responsible companies. As a result of these debacles, the credibility of firms’ corporate social responsibility (CSR) efforts have come into question. Companies now have fewer places to hide their wrongdoings in the techology age. 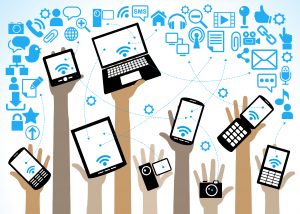 Technology has driven companies to maintain higher standards and communicate with communities more effectively. Certain companies and platforms are targeting companies into keeping to their words in their CSR efforts. An example being Kritical Mass, a platform that attracts individuals and corporations to sponsor projects for the betterment of the community. Sponsors involved with them can offer assistance through funding, volunteers, advice and even marketing in order for firms to respond to demand. Another example is a UK based online platform, Neighbourly. They work to connect community projects and charities with companies and people willing to volunteer their resources. For example, Starbucks has played a leading role in pledging “2,500 days of volunteering and has so far backed 70 community projects.” The founder of the company believes in todays internet age of transparency, the public is starting to pressurize companies to do the right thing, not onl y act to do the right thing. To back this claim up, we can see the huge support for good causes and campaigning against injustice that can be seen in websites such as Change.org and GoFundMe. There are examples of many other organizations that are fighting against social injustice and forcing companies to act responsibly. Samasource is a non profit organization that generates computer-based data projects to women in areas where traditional gender roles may prevent them from advancing in their professional careers. Since their start in 2008, the non-profit “has trained and employed more than 30,000 women through data projects with companies such as Getty Images, DropBox, Microsoft and TripAdvisor in countries including Haiti, Ghana, Uganda, Kenya and India.” Tech companies particularly are offering expertise and skills to good causes as way of making positive contribution to society. Microsoft announced in January their new organization, Microsoft Philanthropies. An organization that will donate $1 billion worth of cloud comp uting resources in order to aid non-profits and university researchers over the next three years. 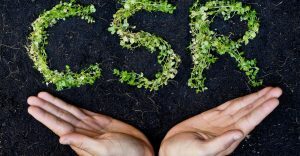 Many other platforms and organizations now exist to put companies on the spot and force them to act the right way and not just have this image of CSR efforts. Technology is forcing companies’ CSR efforts to be genuine as the internet age now means they have no spot to hide in. The role of technology has helped give consumers the ability to pressurize companies, ultimately helping us become better global corporate citizens.